A thick, bright, ‘cut through the mix’ type of wireless handheld mic. 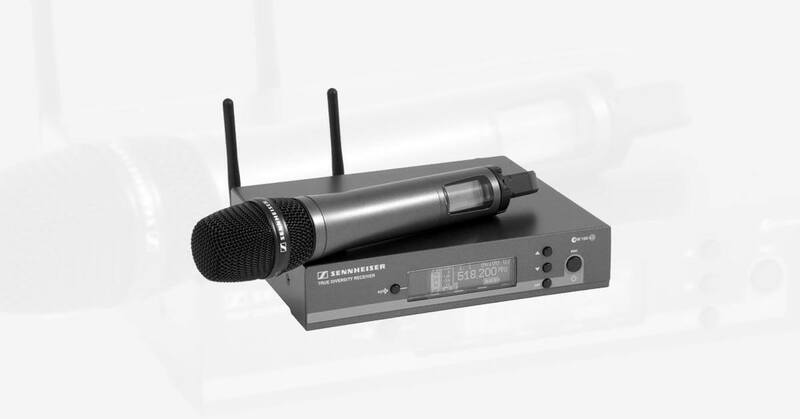 The Sennheiser EW 135 G3 is a cardioid wireless vocal microphone that can be used for males, females, lead vocals, and background vocals. Currently, every vocalist on my team uses a version of this mic (wireless and wired) – two females, and one male. The sound that this mic produces is very thick, bright and cuts through the mix. It was actually designed as a lead vocal mic, but I like to use it for all of my vocals considering each song may be led by a different vocalist in any given service. Previously, all of our vocalists used the ElectroVoice N/D767a, which worked well in a smaller venue, but when we moved into a larger space we found it lacking depth and getting lost in the mix. We started by getting this wireless mic for myself and quickly switched over all the vocalists to the wired version of this mic (Sennheiser e835). The wireless quality is very good. All you have to do is find a clear channel (which it will do automatically) and you will be free from static and drop-outs.